As a graduate student in foreign affairs in the late 1970's, I took a required course on "The Balance of Strategic Forces." It was all about the strength of the nuclear arsenal of the United States relative to that of the Soviet Union. My favorite part of the course was when officers from each of the branches of the military lectured us on the virtues of their particular contribution to mutually assured destruction. The Navy explained that they protected us on the seven-eighth's of the world's surface covered by water. The Army, with responsibility for land forces, reminded us that all of the earth's human population lived on land. And the Air Force's claim rested on the fact that 100% of the earth is surrounded by air. Besides acquiring a passel of nifty acronyms - MiRVs, MaRVs, SLCMs, etc. - I came away with a good understanding the "nuclear triad," the combination of long-range bombers, land-based missiles, and submarines that comprised the U.S. strategic defense arsenal. Despite its terrifying capabilities, it was colloquially referred to as the "three-legged stool." Three legs are better than one. That is, you're better off building a value proposition that's supported by multiple legs, and there's danger in relying on a single strategic advantage over competitors. There's a temptation to build the case for SaaS solutions that rests largely on their cost advantages over on-premise applications. Unfortunately, this one-legged case makes for a wobbly value proposition. For several years now, analysts and vendors have been pulling at the threads of a discussion on the cost of software-as-a-service (SaaS) solutions vs. on-premise applications. 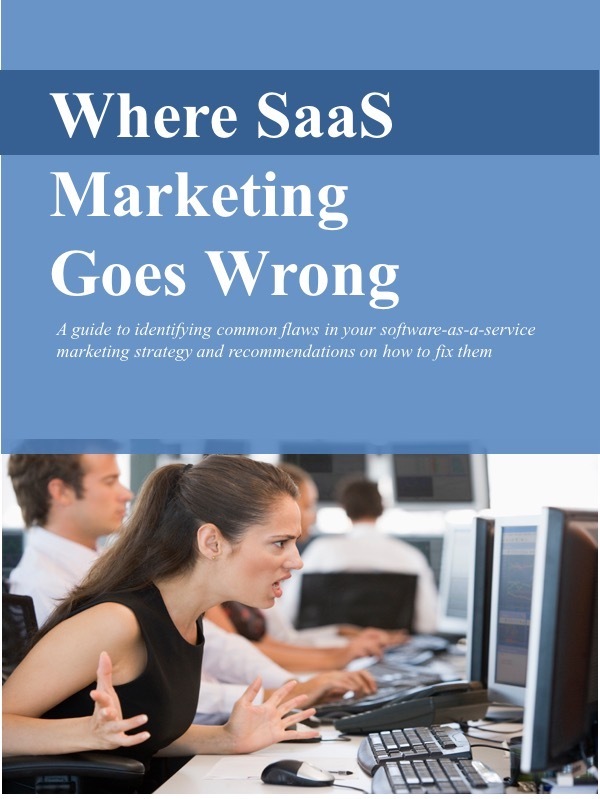 Forrester Research published a report on the topic two years ago as SaaS was just gaining traction in selected markets. More recently, a Gartner analysis noted that while SaaS may offer a cost advantage over the first two years, the total cost of ownership (TCO) advantage may dissipate over five years. In a previous post, I talked about my suspicions about TCO, and ROI calculators in particular. Their apparent precision can be used to obscure fundamental flaws in the logic. If you're encountering objections from prospective customers about TCO or ROI, and claims that your SaaS solution is actually more costly than an on-premise application, I'd suggest you carefully examine their calculator. You may well find implicit assumptions, intentional or otherwise, that will skew the results. Besides these cautions about TCO and ROI calculators, this is a good time to remind marketing folks to be careful when presenting the value of your SaaS solution not to rely too heavily on the cost advantages. These could be elusive. As you will have learned in Marketing 101 (4 P's, etc. ), price is often the easiest element for competitors to match, at least in the short run. Instant access to the latest product enhancements and assurance that all users are on the same version. Dan Druker of Intacct has offered a more comprehensive checklist of SaaS advantages. When building the value proposition for your SaaS solution, use these other advantages if they apply. Don't rely exclusively on cost advantage. It's hard to sit on a one-legged stool.